Today is the release day of Girl Nevermore! I have author R.A. Desliets here with an interview as well as a giveaway. Girl Nevermore is a story I’ve attempted to write in numerous ways. Until now, I hadn’t been successful. The core emotions in the story stem from my own past, and while it is fiction, it was really hard for me to write with finesse. I had several friends who suffered from depression, and a few who attempted suicide. When I was younger, I had no idea how to cope with any of those feelings. I developed anxiety and didn’t seek help. Cooper’s story was the first to capture the essence of losing yourself. Her story came about because I needed to tell it to gain closure. What do you hope readers take away? For those who have experienced a traumatic event, depression, or anxiety, I want readers to come away with hope. I want readers to understand that they are never alone, even if they feel like they are. For those who haven’t experienced depression or anxiety, I’d love for readers to gain a better understanding of how it feels to suffer from anxiety, self-doubt, and self-loathing. I’d love for Girl Nevermore to open up a larger dialogue about mental health. No one should be ashamed to talk about how they feel, and oftentimes, I think a lot of us are. It should be easier to talk about than it is. How hard was it to go from writing a humorous story to one so dark and gritty? It’s been intense. With Hipstopia and The Collapse, I wasn’t as nervous. While I’m proud of my satirical books, I was also more emotionally distant. Girl Nevermore feels like I’m putting a piece of my past and myself out there, and that’s the most terrifying part. As for writing it, it wasn’t difficult to switch gears. I think Murphy provided a good transition into the dark and gritty in The Collapse. But I’ve also been toying with characters similar to Cooper for years. I was finally able to capture the right tone from trial and error. A few of your favorite books? Goodness, this is always hard. I can’t ever just pick a few! I think everyone who has read Hipstopia (and the acknowledgments) knows how much I appreciate Courtney Summers, so of course This is Not a Test tops my list every time. Birthmarked by Caragh O’Brien is up there, along with More Than This by Patrick Ness and Shatter Me by Tahereh Mafi. There are so many more, but I’m trying to keep this short! Since I’ve mentioned high school, I’ll share the “I’m a super nerd” fact. I never missed a single day of high school. Not even on senior skip day, not even when I was sick (which, in retrospect, was a terrible decision as I probably made some of my classmates sick--sorry, guys). When I made it to the end of freshman year with no absences, I decided why not? Once I came up with the idea, as a goal-oriented person, I had to follow through. I’m in the middle of editing an Adult Ebola Apocalypse novella, The Unanswerable, which will be part of a series of conquels (called The UnSeries). Matthew and his family are stuck in New York City when an airborne Ebola virus breaks out. They have to risk everything on the feral streets for a slim chance at survival. The tentative release date is October 27. I keep my Publishing Schedule updated on my blog (radwrites.blogspot.com). So you can always see what’s coming out next! 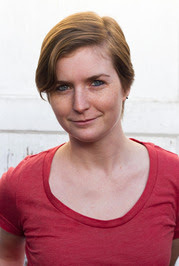 Rachel Desilets (R. A. Desilets) is the author of YA Satirical Dystopian duet, Hipstopia and The Collapse. She also wrote a children’s adventure/adult humor novelette, My Summer Vacation by Terrance Wade. 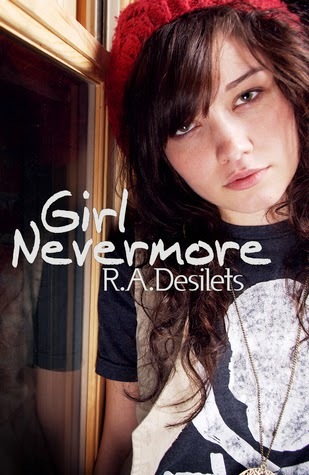 She’s just released Girl Nevermore, a YA Contemporary novel. She enjoys tea, coffee, and warm blankets. Rachel is the self-proclaimed owner of “way too many cats” and currently lives with her husband in Southern California. Thanks for hosting me, Jaclyn! It's always a pleasure. :) You ask such fantastic questions! I'll be checking this book out for sure. It's a topic that hits pretty close to home as not to be a downer but i lost my best friend a little over a year and a half ago to depression and so when some one does put a lot of effort into adventure like this I have to give it a try. I'm glad it sounds like something you'd like to check out. She's a great author, and if you can handle that level of emotion, I think you'll really enjoy it. I am so happy that you read and enjoyed this one. It does make it MORE somehow to know it's personal doesn't it?